Welcome back. 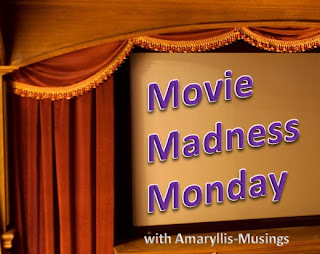 This is a weekly meme where bloggers can share their thoughts on movies. Any movie review is welcome including, new releases, old favorites or new found favorites. What's amusing is that I hadn't planned on seeing this movie. I actually thought it looked stupid, (which it was) but it surprised me by being hilarious. Really, it was as if the second generation of Griswalds were the "family" in this movie. Seriously, the premise wasn't complex and the outcome was as expected but the main things that had me in stitches was the "family" dynamic. As the movie progressed the ruse of being a family started to rub off and the bickering and complaining of a traditional family vacation occurred. Combine that with a killer whale, 2 crazy drug lords, a huge RV (it's a recreational vehicle) and you've got one crazy movie. One side note, I went and saw this with my best friend and we both agreed that there is a covert action by some in Hollywood to make Jagoff mainstream. For those that don't know, jagoff is a Pittsburgh colloquialism that generally describes a jerk or idiot. I have heard this word repeatedly lately in movies and TV and was surprised to hear it in this one. If you are participating in Movie Madness Monday, fill out Mr. Link Below. You do not have to comment but please link back to this post in your post to get the word out!